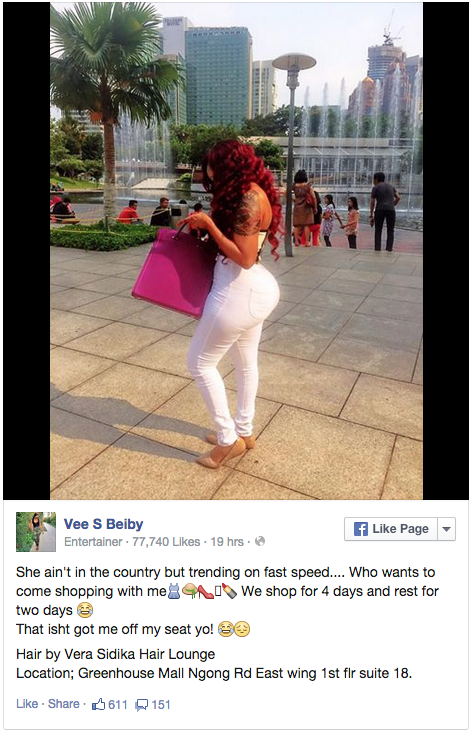 Socialite Vera Sidika has come out to refute the allegations that she is a 1.4 million prostitute. The socialite was allegedly exposed as a high end prostitute charging Ksh 1.3 Million for a week of her sweet cooky. 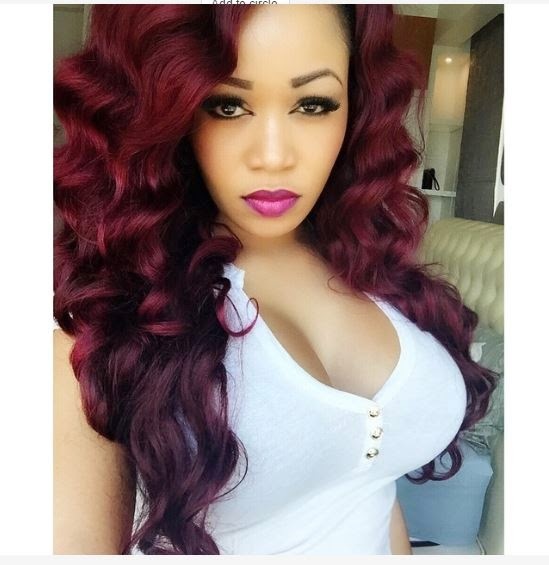 According to the allegationns, Sidika offers her services for four days and rests for two days. Now Vera has hit back at that, claiming that she instead shops for four days and rests for two days. The lass is currently in Malaysia on a business trip.